Too bad Bethesda only made multiplayer DLC. Doom was probably 2016’s greatest surprise. After a disastrous multiplayer “beta”/demo I was primed to hate it, only to come away from the campaign a few weeks later thinking it was one of the year’s best games. With that in mind, the phrase “We’ve retired the Doom season pass” should be cause for celebration. 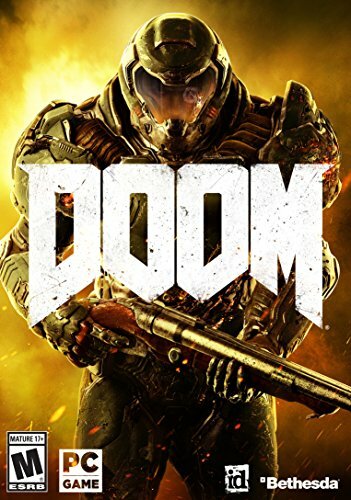 Bethesda announced today that all of Doom’s post-release downloadable content is now free to everyone, as part of Update 6.66. More Doom? For free? Excellent. The excitement dampens a bit though when you realize the only Doom DLC released was for the aforementioned multiplayer mode. Everyone clamored about the Doom campaign and potential singleplayer DLC—but it never arrived. Instead we got nine new multiplayer maps, three new guns, three more playable demons, and some other doodads. Sure, the multiplayer got slightly better after the beta, but I still only played it for all of a week before uninstalling it from my PC. Perhaps the ensuing year has been kind to it—indeed, Update 6.66 sets about overhauling the entire UI and revamping player progression. Bethesda certainly hasn’t given up on it yet. But suffice it to say, “Free DLC” doesn’t have quite the same ring when it seems more like a desperate plea to get players back to your game (see also: Titanfall) and less like a generous gift. If you’ve got Doom lying around, might as well dip in and see if the sluggish multiplayer has gotten any better. Bethesda’s also running a free weekend on PC starting July 20, if you want to test out the multiplayer before buying. Or don’t—after all, the id-developed free-to-play Quake Champions is just around the corner. Gut feeling: It’s probably a better Doom multiplayer than the actual Doom multiplayer.